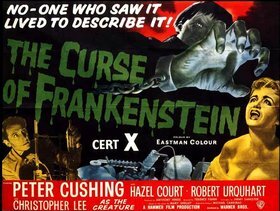 Eventually landing the job of scripting the studio's adaption of Mary Shelley's Frankenstein, he made one significant change to the source material, moving the emphasis in the story from the monster to the creator, consequently giving Peter Cushing his breakthrough starring role, and Hammer a hit movie, both in the UK and the US. This was quickly followed by another box office smash, Horror of Dracula, with Sangster once again not afraid to tinker with the source material, transforming Dr. Van Helsing from an elderly man to a younger, more energetic character. 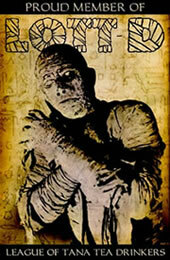 Sangster went on to write a host of other scripts for Hammer, such as The Mummy, The Man Who Could Cheat Death, Taste of Fear and several Dracula and Frankenstein sequels, as well as occasional forays into directing with The Horror of Frankenstein, Lust for a Vampire and Fear in the Night, the latter being a move away from Gothic themes to a more psychological approach to horror. The 1970s saw him writing for US TV on shows such as Kolchak: The Night Stalker, The Six Million Dollar Man and Wonder Woman. By the 1980s and 90s Sangster was winding down the writing work, but he remained a regular on the convention circuit and I was lucky enough to see him being interviewed at a film festival in Manchester. He was an excellent raconteur, with a dry, self deprecating sense of humour, but my overwhelming memory is of his delight that so many people still derived so much pleasure from his work.